The big-government, high-taxation, overreaching regulation model of governing has been a saga of failure in America's cities. Winston Churchill captured what this presidential election is about when he observed, "The inherent vice of capitalism is the unequal sharing of blessings; the inherent virtue of socialism is the equal sharing of miseries." It's why the young black Democratic mayor of Newark, N.J., Cory Booker, got high-level repudiation from the Barack Obama campaign, including from the president himself, when he insolently suggested that Bain Capital, the investment firm once headed by GOP nominee-apparent Mitt Romney, might actually do positive things. Booker, an Obama campaign surrogate, went off script on NBC's "Meet the Press" Sunday when he refused to justify a campaign attack ad depicting the evils of Bain. "I'm not about to sit here and indict private equity," he said. "To me, it's just we're getting to a ridiculous point in America, especially that I know I live in a state where pension funds, unions and other people are investing in companies like Bain Capital. If you look at the totality of Bain Capital's record, they've done a lot to support businesses, to grow businesses." 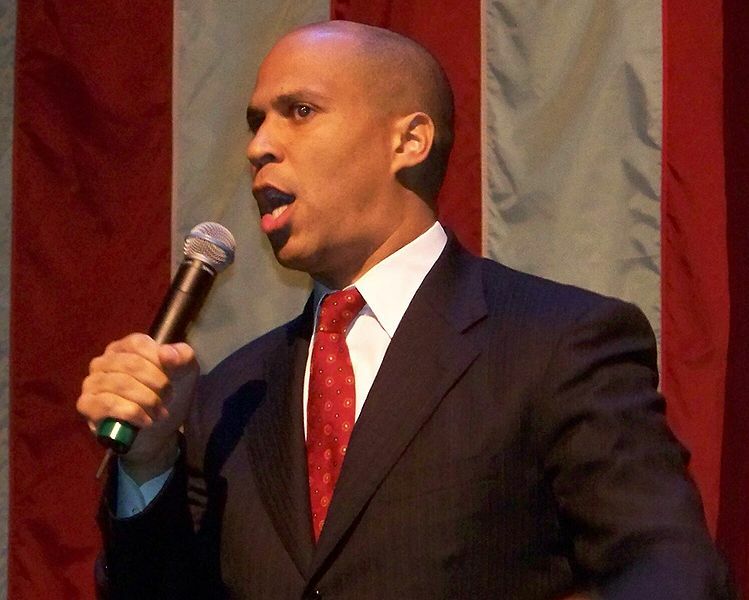 After campaign heavy-hitters criticized him, Booker qualified his remarks. But his "MTP" comments were unmitigated heresy driving to the core of the Obama campaign message. The narrative, telescoping the theme of four years of this presidency, says that the American economy collapsed because of unbridled capitalism. To recover, the narrative continues, we must allow all-knowing, all-powerful, but compassionate political leadership in Washington to rearrange the American economy and make sure businesses never steamroll Americans again. But Booker, educated at Stanford, Oxford and Yale Law School, is a new breed of young black politician, who is actually trying to make a difference. And he is too close to realities on the ground to deny the truth he sees. As mayor of Newark, he governs a city that is more than 50 percent black with a 25 percent poverty rate. It's clear that what Newark needs is more business and investment, not more government. George Mason University economist Walter Williams recently noted that America's poorest cities with populations over 250,000 -- Detroit, Buffalo, Cincinnati, Cleveland, Miami, St. Louis, El Paso, Milwaukee, Philadelphia, and Newark -- have one common characteristic. For decades they have been run by liberal, Democratic administrations. The mayors of six of them have been black. The big-government, high-taxation, overreaching regulation model of governing has been a saga of failure in America's cities. And it certainly has not served well the black populations that disproportionately populate them. And interestingly, in another paradox of black political behavior (I wrote last week about the stark contrast between the values that blacks embrace in church on Sunday and the values they vote for on Election Day Tuesday), blacks are voting with their feet against the same political regimes that they are supporting in the voting booth. The New York Times reported last March that, according to new Census data, blacks are departing our failed northern cities and heading south. Blacks may be pulling the lever for "blue" candidates, but they're leaving the blue states and moving to the red ones. Michigan, Illinois, New York and other major Northern black population centers have shown net black population decreases over the last decade, and "among the 25 counties with the biggest increase in black population, three quarters are in the South." Professor of history Clement Price at Rutgers University in Cory Booker's Newark says "the black urban experience has essentially lost its appeal with blacks in America." These black Americans on the move are young and educated -- 40 percent between 21 and 40 and one in four with college degrees -- and looking for opportunity. And the places in America today with the growth and opportunity they seek are those areas that embrace freedom and entrepreneurship. Cory Booker knows this. And he knows that fixing America's blighted urban areas means pushing back on the smothering government that caused this decay and inviting in creative and courageous business minds and their investment capital. So Booker's defense of Bain and capitalism should come as no surprise.